To make some ice, a freezer extract 185 kJ of heat at – 12.0ºC. the freezer has a    coefficient of performance of 5.70. the room temperature is 26.0ºC. (a) How much heat is delivered to the room? 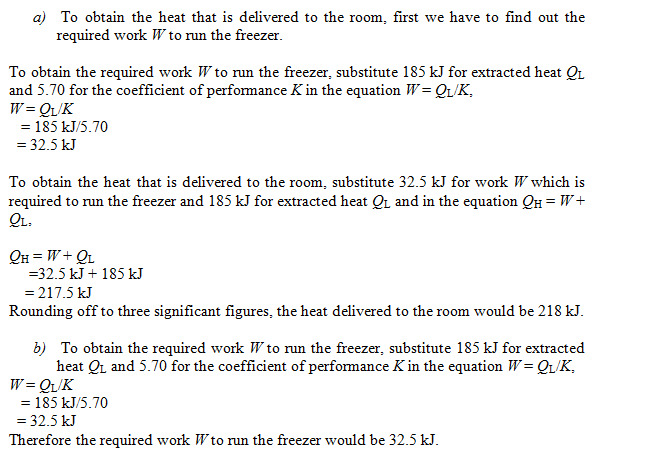 (b) how much work is required to run the freezer?